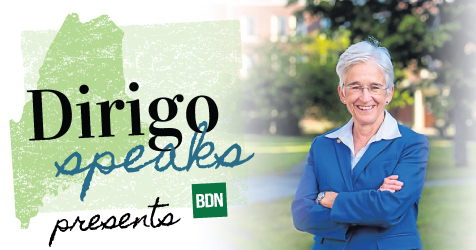 BANGOR — Bangor Daily News is honored to present University of Maine President Dr. Susan Hunter, who will speak on “Why Leadership Matters” at 5:30 p.m. Wednesday, May 30, at Bangor Public Library, 145 Harlow St.
Bangor Daily News reporter Matthew Stone will moderate a Q&A session following Hunter’s remarks. We invite questions from all our readers for Dr. Hunter. Please share your questions when you reserve a seat, in the comments on this post, and in person. The event is free, but please RSVP on Eventbrite to reserve a seat. Dr. Susan J. Hunter became the 20th president of the University of Maine on July 7, 2014. She also became president of the University of Maine at Machias on July 1, 2017. She began her full-time career at the University of Maine in 1991 as a faculty member in the Department of Biological Sciences. Her administrative positions included Chair of the Department of Biological Sciences, Associate Provost and Dean for Undergraduate Education, and five years as the Executive Vice President for Academic Affairs and Provost. Immediately prior to her appointment as UMaine’s first woman president, Hunter served as Vice Chancellor for Academic Affairs for the University of Maine System.